How can I properly care for this aluminum item? Hand washing is always the best option to ensure that your aluminum stays in best working order. However, if you decide to clean these in a dishwasher, we strongly recommend using metal-safe detergents and sanitizers to eliminate any flaking or tarnishing that could occur from some harsher cleaners. 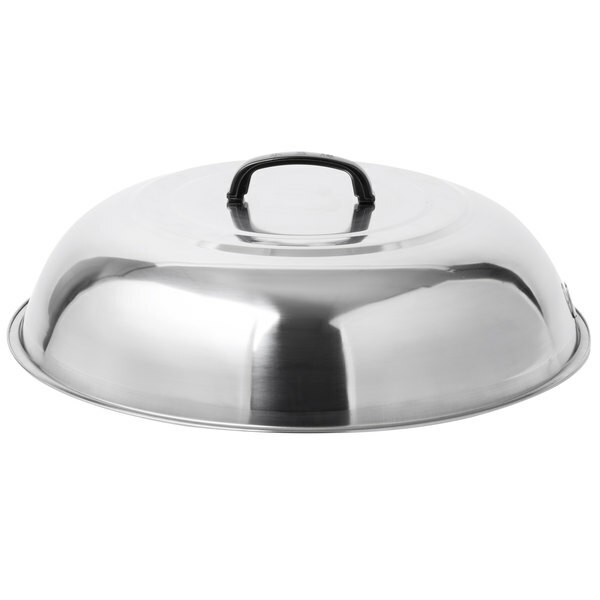 This 17 3/4" diameter wok cover is best suited for woks that are 2"-6" larger in diameter than the cover. 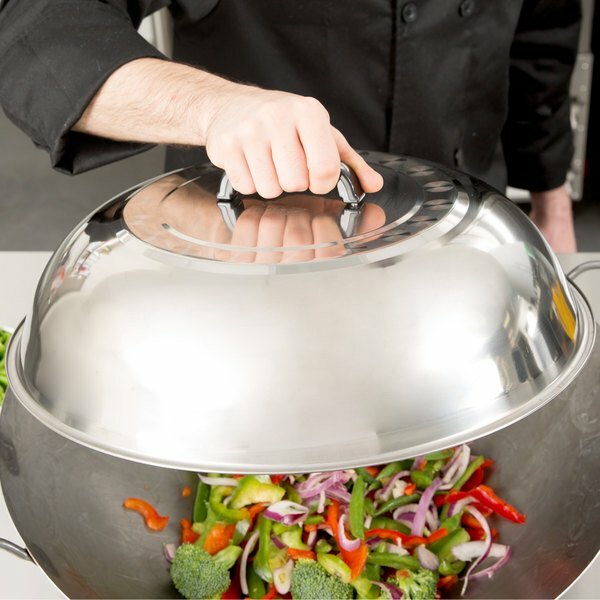 This stainless steel wok cover comes with a sanitary, riveted handle and is built to withstand the everyday pounding that a wok cover typically takes. 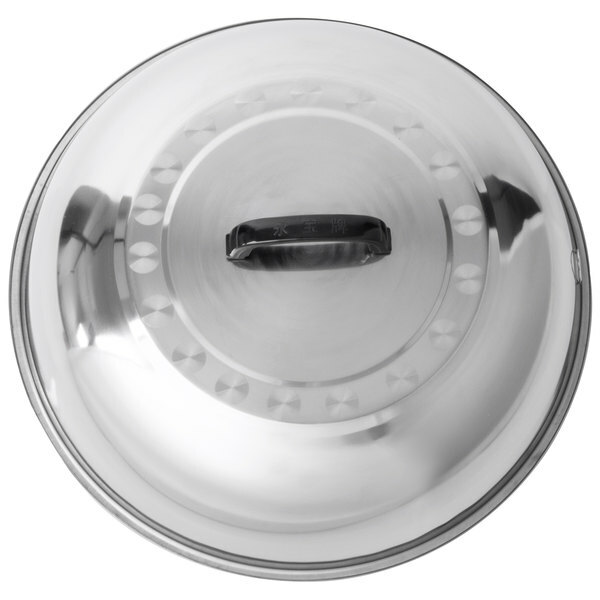 The 17 3/4” Stainless Steel Wok Cover is eye appealing and durable. The handle is firmly attached and it easy to grip. 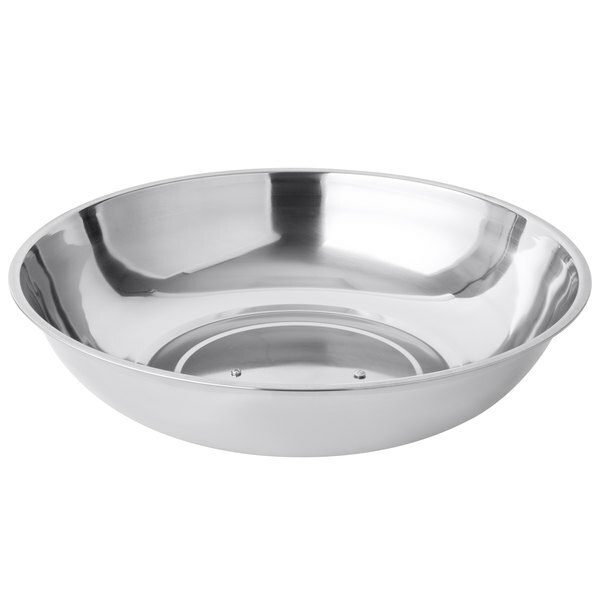 It has a nice finish and is dishwasher safe. I would definitely purchase this again. 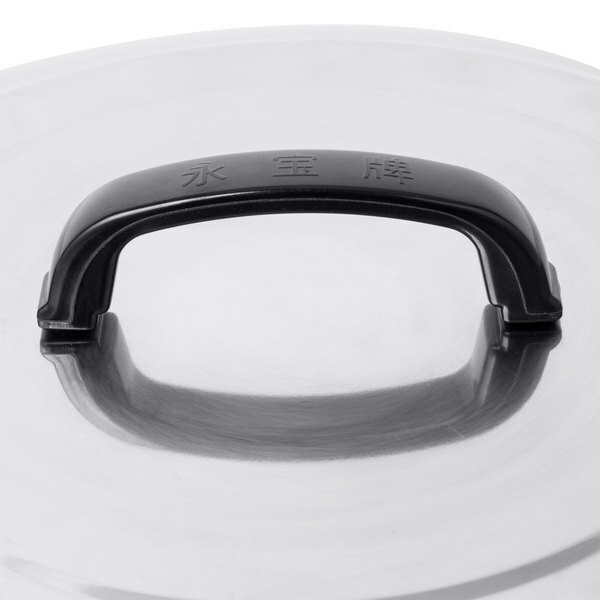 This wok cover is made of very thin metal and flexes quite a bit. 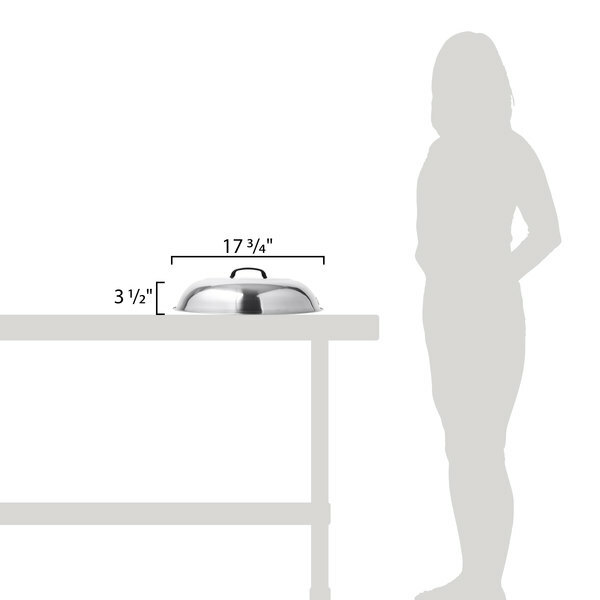 I am concerned about the longevity of the product, as the screws that hold the handle to the top of the lid were not accompanied with washers to spread stress over a larger area. At the end of the day, the cover definitely works, but I would opt for a heavier version if I was going to use it on a daily basis. 3.5 stars out of 5. Thank you for your review! These are a great value. 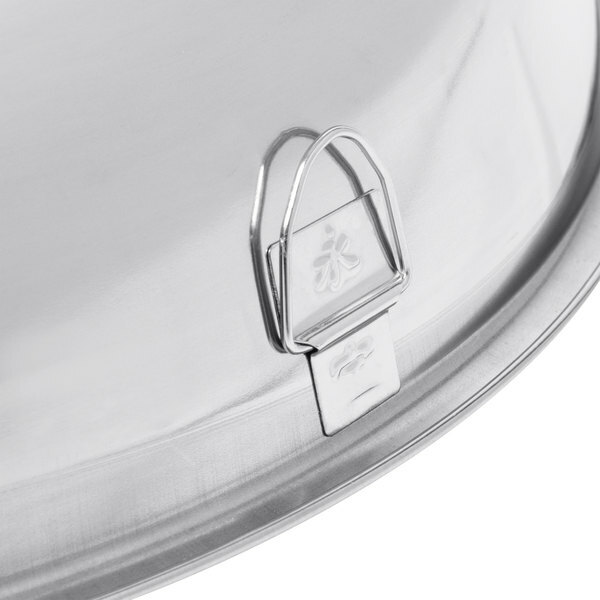 If you would like to try a more durable wok cover, check out the Town 34918 aluminum wok cover which is rated as "Best".